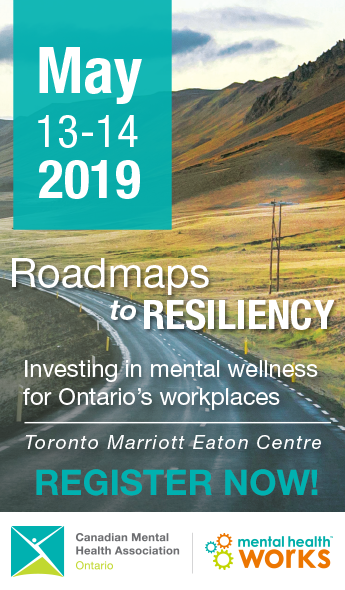 As part of the Enabling Change program, and in partnership with the Ministry for Seniors and Accessibility, CMHA Ontario is pleased to announce the release of Mental Health in the Workplace: An Accommodation Guide for Managers and Staff. This Guide is meant to orient employers and supervisors with direct-reports to their responsibilities under the Accessible Employment Standard, and provide them with tips and techniques on how to accommodate mental health and addictions concerns in the workplace. It also provides workers in Ontario with practical techniques on how to ask for and request an accommodation. For more information on the Accessible Employment Standard in Ontario, please visit https://www.ontario.ca/page/accessible-workplaces. For workplace related programming please visit www.mhworks.ca.